Our Vegan Mushroom Meatballs are the Perfect Easy Weeknight Dinner! 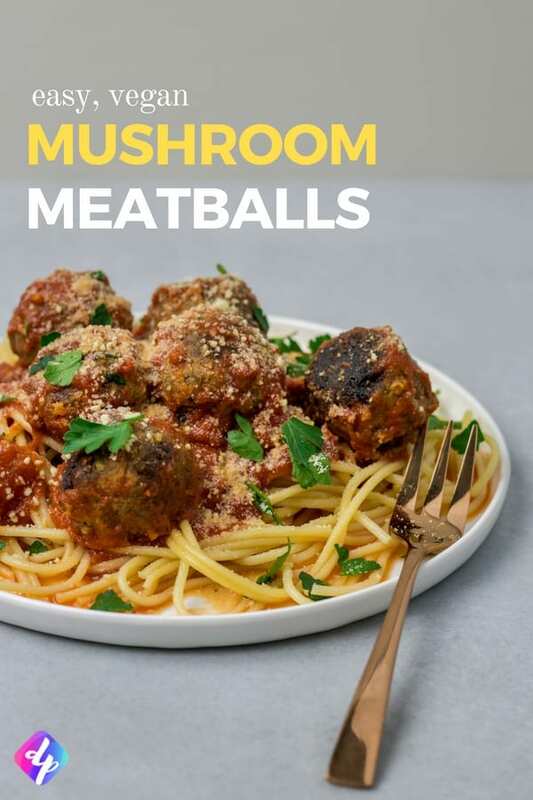 Our vegan mushroom meatballs are healthy, easy to prepare and taste absolutely delicious! Serve them with some pasta sauce and garnish with fresh parsley for the perfect easy weeknight dinner. 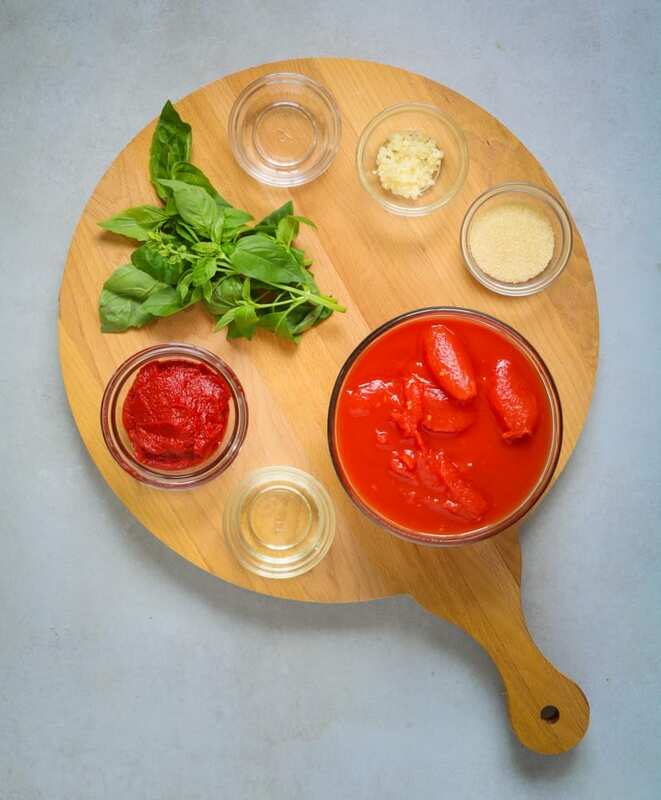 Making an authentic Italian tomato sauce is easier than you might think. Heat a saucepan over high heat and add in the tomatoes. Allow them to come to the boil and then turn down to a medium heat and allow to simmer for 15 minutes. Add the rest of the ingredients and allow the sauce to simmer for a further 30 minutes to reduce. Finally, puree the sauce with a handheld blender till your desired consistency and store for later use. 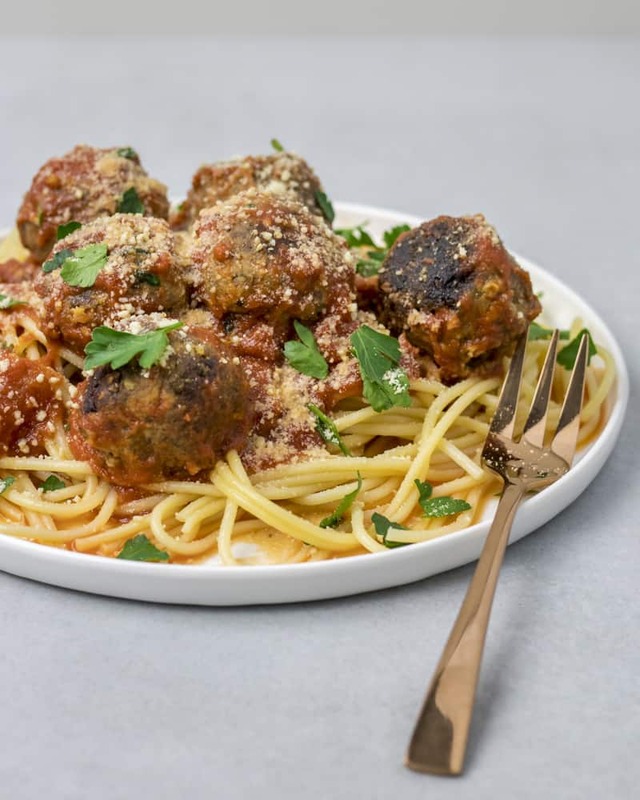 We couldn’t believe how delicious these vegan mushroom meatballs were, in fact, they were so good that we immediately decided to add them to our weekly meal prep cycle. For two people, it would be so easy to double this recipe and have meatballs to eat the entire week. If you’re going to make these meatballs for your weekly meal-prep I would recommend rolling all the mixture into meatballs and storing the meatballs you don’t eat in the fridge. They should keep well in a closed container for 3-5 days. 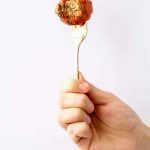 If you’re gluten-free you can easily make your meatballs gluten-free, just substitute the oats, the breadcrumbs and soy sauce with gluten-free versions. Tamari would work really well as a substitute for soy sauce. You will need a food processor to make the meatballs as the mixture is rather thick. I use this Breville one for a lot of my recipes as I find it powerful enough to make short work of anything. You can use a smaller food processor like I had to before I got the Breville, just make sure to split up the meatball mixture and process it in batches. Heat the olive oil in a large frying pan over medium heat. Add the onions and saute for roughly 5 minutes. Then add the mushrooms and turn the heat up to high and cook for 10 - 15 minutes. The water should be evaporated from the mushrooms after 10 minutes and then the mushrooms should brown for 5 minutes. Remove from the heat and allow to cool down. Add the oats to your food processor and pulse until fine. Mix the flax meal with 5 tablespoons of water and allow to set for 5 minutes. Add the mushroom and onions to the food processor along with the rest of the meatball ingredients and process until your desired texture. Cover and store in the fridge for at least 1 hour. This allows the flavors to intensify and the meatballs will stick together better too. 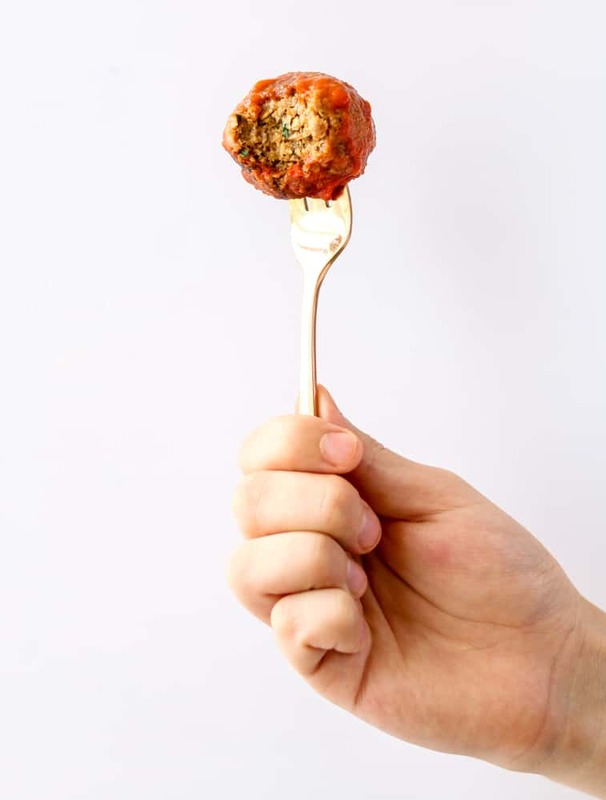 When you're ready to make the meatballs, measure out roughly a tablespoon of the mixture and form small balls. Repeat until the mixture is finished. Heat up oil in a large frying pan on medium heat. Fry the balls until they turn brown on the underside and rotate. 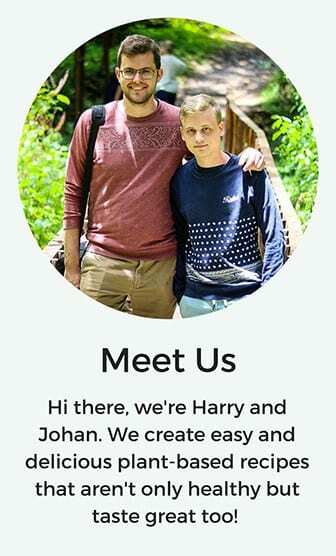 You can also bake them in a 400 F/ 200° C oven for 15 minutes. Serve with our tomato pasta sauce over some spaghetti or as delicious appetizers at your next party. Enjoy! How about some tacos for Taco Tuesday this week? Why not give our easy jackfruit tacos a try? These look like a possibility! Too often I go for the pre-made fozen ones, and I used to use a certain mix, until the local WFM stopped carrying it. But these look easy enough for one who tends toward lazy cooking as myself. Question: What size package of mushrooms will yield 2 & 1/2 cups of mushrooms (the usual 10oz one in the store)? You’re right, these meatballs are super easy! And to answer your question, 20 oz of mushrooms will work out perfectly – so two of the standard 10 oz packs. Uncooked steel cut oats should work just fine! Actually my question is did YOU use uncooked steel cut oats?, the recipe calls for steel cut oats and you did not specify if they were cooked or not. Thanks. Definitely uncooked, otherwise there would be way too much liquid in the recipe! Thanks for clarifying ? My Mushroom balls kept on falling apart and they wouldnt brown correctly. Not enough Mushrooms or Flax Meal?